It’s pretty clear that the housing crisis is a huge part of this economic downturn. 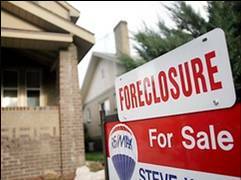 In my foreclosure prevention work, I have seen the difficulty homeowners are having as a result of job loss, reduction of income, medical expenses and other hardships. About a year ago, the Obama Administration trotted out the Home Affordable Modification Program (HAMP). The plan set forth a process for servicers to modify mortgages to help homeowners who suffered a hardship and were unable to make their full monthly mortgage payments. HAMP is a voluntary program, but just about all the large banks and servicers signed up for it. Despite participation by most of the big players, it’s also pretty clear that HAMP has been minimally effective at preventing foreclosures and will not come close to reaching its goal of assisting up to 3 to 4 millions homeowners by the end of 2012. I applaud the Administration for addressing the fact that increased unemployment is a large reason homeowners are struggling. It’s also good to see that they are (sort of) addressing the need for more principal write-downs (being “required” to “consider” something is not very useful in my mind). But here’s the problem: These “enhancements” will do little to improve the effectiveness of HAMP. Why? Because the failure of HAMP is directly tied to the failure of the servicers to properly carry out the program and those problems have not been addressed by the recent changes to HAMP. Problem #1: Servicers have not hired enough people to work on modifications and those they have employed are overworked, underpaid and poorly trained. Homeowners are waiting months to get answers to their modification requests. It’s very difficult to get someone on the phone who can actually help a homeowner. Servicers are using incorrect financial information which is resulting in eligible homeowners being denied a modification. Homeowners have also had a great deal of difficulty getting straight answers regarding their situation and the program when they contact their servicer. If the servicers do not train their employees properly, the program will not work. I don’t care how many enhancements you throw into it. Problem #2: The servicers are not being held accountable for the incompetence that is coming from their offices. Servicers have been able to ignore the rules of the program and there are no negative ramifications. Homeowners are ignored, given misinformation, and treated with gross disrespect by the servicers and there is little anyone has been able to do to stop this. Until there is some way to enforce the rules, this program will not be successful. Problem #3: Principal write-downs are not mandatory. Principal write-downs are currently voluntary under HAMP. The enhancement will require the servicer to run the homeowners through a program that forces them to look at principal write-downs. But servicers can still decide not to offer write-downs to homeowner. I don’t expect write-downs to become a common practice without the Administration penalizing servicers for not writing-down mortgages. Under the enhancements, there are incentives for servicers that offer principal write-downs. However, it doesn’t look like servicers respond to carrots. They respond to sticks. I don’t expect to see significant changes simply because the Administration is prodding the servicers to consider this option. Problem #4: Treasury does not require that the servicers fully disclose the numbers and information that are used in the Net Present Value Test (NPV). The NPV is defined as the present value of the estimated future cash inflows minus the present value of the cash outflows. The test is a crucial part of HAMP and is used by the servicers to determine whether they should modify a mortgage. A positive NPV means that it is in the best interest of the servicer and investor to modify for the mortgage. A negative NPV means that it is not in the best interest of the servicer and investor to modify the mortgage and they are free to deny that homeowner a modification. Variables included in the NPV include the borrower’s monthly income, the unpaid principal balance of the mortgage, the current value of the home, home price appreciation forecast and many other numbers. The numbers that are included in the NPV are crucial, but there is a lack of transparency regarding the numbers that are used. There is also no one overseeing the process to make sure that correct numbers are being used in the calculation. As a result, homeowners who are eligible for the program are being turned away because the servicers are using incorrect information. Problem #5: The program to help address the burden of second liens, the Second Lien Modification Program, or 2MP, has yet to have an impact. The program was announced in 2009 but details have been slow to surface and servicers (Wells Fargo, J.P. Morgan Chase & Co., Bank of America and Citi) have only recently signed on to the program. I don’t have much hope for the effectiveness of this program because 2MP will require coordination with HAMP. How can a supplemental program be successful if the primary program has been a flop? I hope I’m wrong about these problems persisting. I hope these enhancements get the banks to provide more help to responsible homeowners who are just looking to get through a rough patch. But I believe the servicers need to be held accountable for their failure to properly implement the rules of the program as they have been laid out by the Administration. Until there are ramifications for failing to follow the rules, it will be difficult for this program to succeed. Can You Be Too Frugal?